If you’ve been holding your breath for cleaner air, the wait is over. 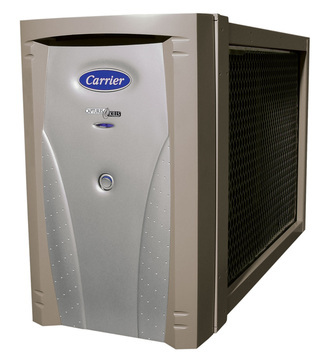 Carrier's state-of-the-art air purifier systems trap and kill bacteria, viruses, mold spores, allergens, and other pollutants in the conditioned air and keep them out of the air your family breathes. The award-winning Infinity® air purifier, for example, cleans indoor air as many as 8 times an hour with an enviable MERV rating of 15 and removes pollutants from the air that are up to 18,000 times smaller than the head of a pin. What does it all mean? That you and your family can breathe easy. Contact us for a quick analysis of your indoor air to identify the unseen threats potentially lurking under your nose! When you see just how much Carrier humidifiers can improve air quality, there won’t be a dry eye in the house. As far as we’re concerned, dry air just won’t fly. No one likes too much humidity. But too little can be just as irritating, especially in winter. When humidity drops too low, you might notice sore throats, chapped lips, itchy skin, and sinus problems. You also might notice dry wood in your furniture which can lead to long-term damage. 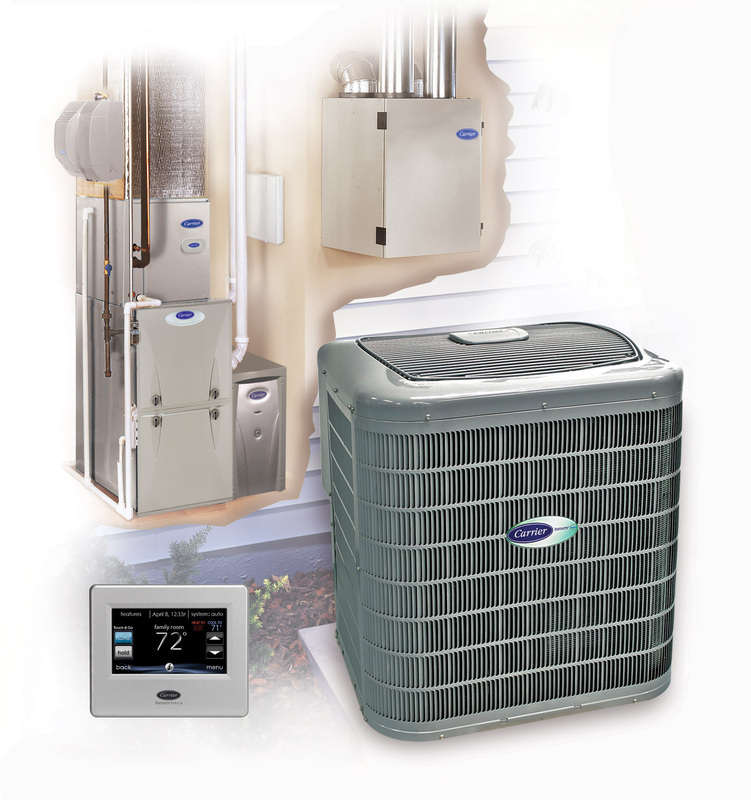 To help, we offer a variety of products designed to keep your home at a comfortable humidity and everyone in it feeling great. For example, our steam humidifier is great when a high degree of humidity control is desired, or you could choose a fan-powered or bypass humidifier. 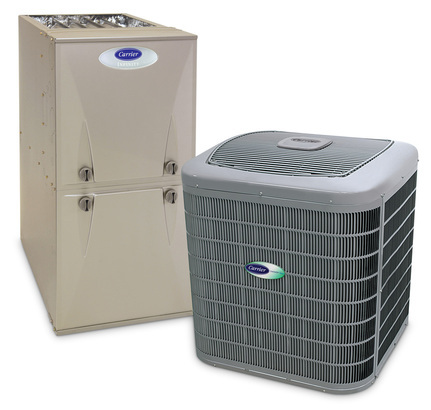 All work in tandem with your furnace or fan coil and operate quietly with little energy use to make your home more comfortable. And your hair and clothes will be happy to know they even reduce static electricity! For some, the humidity problem in your home might be the opposite of too dry. 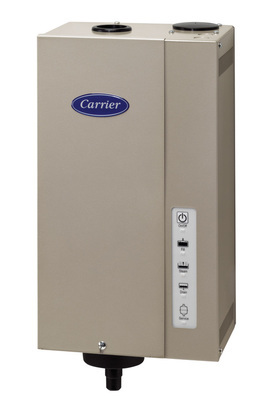 With Carrier's Performance series dehumidifier, you'll never have to worry about that hot and sticky, muggy air keeping you uncomfortable at home! Managing indoor humidity is important to creating a comfortable, healthy indoor environment. Too much humidity can encourage mold growth and create a cozy home for dust mites and other pests to thrive. High humidity can make you and your wallet uncomfortable too because you'll tend to want the cooling temperature lower than you need for comfort causing your system to work harder to keep up. 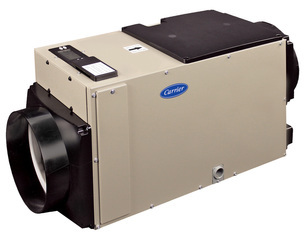 The Carrier Performance series dehumidifier is available in two sizes, so regardless if you need a whole-home solution or just have a humid basement, you'll have dehumidification that's just right for your needs. Both sizes work quietly to wring out humidity from the air so you can save on utilities and be comfortable. And, they're designed to be configurable with your existing system in a multitude of ways or operate independently away from your system if space is a problem. 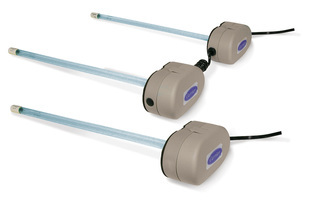 Our UV lamps mean lights out for mold and bacteria. They kill the organisms that can grow on the indoor coil of your cooling system. Eliminating these baddies does more than help improve your air quality, it increases your system performance as well. That’s because when mold is allowed to build up on your coils, airflow can be reduced by as much as 9%. With our UV lamps, coil cleaning can be a thing of the past. Simply replace the lamps once a year. Carbon monoxide is a colorless, tasteless, odorless and highly toxic gas. 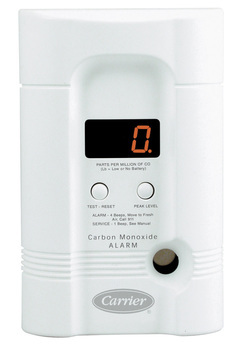 The Carrier CO alarm uses sophisticated sensor technology to detect and record levels of CO.